On Friday October 28th the ticket office for the 2017 24 Hours of Le Mans will be open for the general public. The members of the Automobile Club de l’Ouest will enjoy an exclusive three-day pre-sale beginning on Tuesday 25th October at 10:00 until Thursday 27th October at midnight. The ticket office will then be open for everybody on Friday 28th October at 10:00. Two major innovations will add enhanced value to the 2017 tickets. More than 7000 free parking spaces will be accessible near the circuit, and access to the 24-Hours Circuit de la Sarthe 24-hours museum will be free during race week for all those who have a Week or Pitwalk ticket. After the 2016 event, which will be forever remembered for Brad Pitt as honorary starter, Toyota’s incredible bad luck when the car was in the lead with four minutes to go to the finish, Porsche’s 18th outright victory, Ford’s winning return and the battles that raged throughout the 24 hours between the 60 cars entered for the race, the fans can’t wait for the 2017 Le Mans 24 Hours! 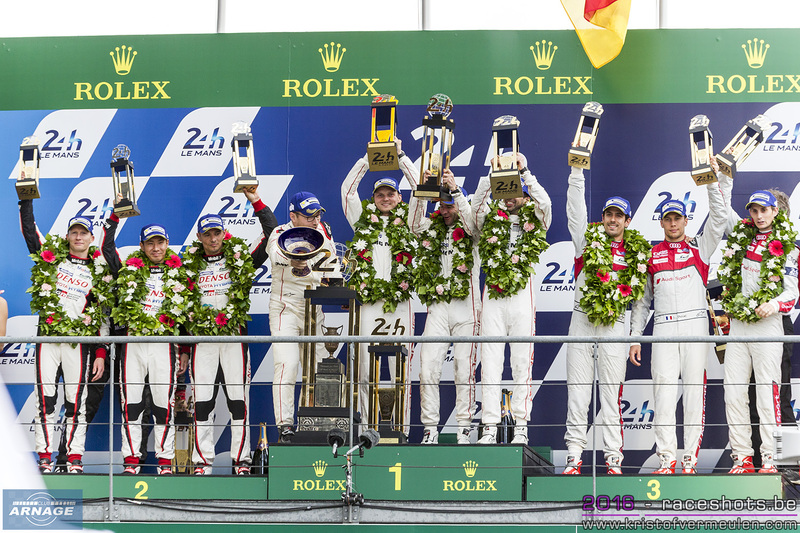 TOYOTA has already announced that it will be back and the other major manufacturers in the blue-riband LM P1 category will also be present to try and clinch another victory. The new-generation LM P2s will make their Sarthe debut and the best GT cars in the world will be involved in a no-holds-barred battle for the honours in their categories. The Le Mans 24-Hours race is the summit of the endurance pyramid as well as the third round of the 2017 FIA World Endurance Championship. The test day will be held two weeks beforehand on 4th June and scrutineering in the town centre on 11-12 June will launch the wild Le Mans week! But beyond the purely sporting aspect the Le Mans 24-Hours race also creates a magic, unique festive ambience, which is a huge success with the ever-increasing number of spectators. Throughout the Le Mans week the many forms of activities and entertainment on offer like scrutineering (technical and administrative checks), held in public in the Le Mans town centre, the three concert evenings, the drivers’ parade and the numerous shows concocted by the ACO will delight spectators of all ages - fans as well as ordinary spectators. With just two months to go to Christmas and the end-of-the-year festivities, this is an original idea for a present that will delight all motor sport enthusiasts as well as those who wish to enjoy their first taste of a week-long party by attending the greatest endurance race in the world. The general enclosure ticket for the week is valid for the test day (4th June), and for the whole Le Mans 24 Hours week (11-18 June): spectator banks, village, entertainment, Mulsanne and Arnage corners, concerts, practice on Wednesday and Thursday with free access to the grandstands, pit visit on Friday and the race weekend. How and where to book your tickets ? The Le Mans 24-Hours official site to reserve and pay on line.